In the second hour, Dr. Travis Ptacek shared his journey from atheism to Catholicism and how his conversion impacted his medical profession. He also previewed the upcoming White Mass for health care professionals in the Diocese of Rapid City. Host Fr. Brian Gross then spoke with Colleen Samson for an update on the 40 Days for Life Fall Campaign effort in North Dakota. Finally, Fr. Gross was joined by Ed Konieczka, Assistant Director of University Ministry at the University of Mary, about the upcoming Prayer Day event. During the first hour, host Fr. Brian Gross visited with the Diocese of Duluth's Fr. Ryan Moravitz about his enjoyment of hunting growing up and what that dynamic is like now for him and his brother, both of which are priests. Fr. Gross then spoke with Bishop Kagan of the Bismarck Diocese about the importance of appreciating and praying for our clergy and seminarians. The two also talked about Msgr. Thomas Richter's appointment as the new Rector of St. Paul Seminary in St. Paul, MN. In the second hour, host Fr. Jason Lefor visited with Ryan and Kate Bleth about their marriage journey and how being involved with a program called Worldwide Marriage Encounter provided the love and support they needed to work through some challenges. Fr. Lefor also spoke with Keith Holly from the St. Mary's Knights of Columbus in Grand Forks, ND about the upcoming "Right to Life" Breakfast they will be hosting. In the first hour, host Fr. Jason Lefor spoke with one of the pilgrims on the RPR Pilgrimage, Linda Knudtson, about her excitement for the trip and some of the sites they have visited. Fr. Lefor was then joined by Mother Madonna from Carmel of Mary Monastery near Wahpeton, ND. Mother talked about the beauty of the cloistered life and the new project to help repair the roof at the Monastery. Our host also spoke with Dr. Daniel Skorich about how his faith informs his role as a doctor and the upcoming White Mass for health care workers in the Diocese of Duluth. In the second hour, hosts Brad Gray and Jeanine Bitzan first spoke with Lisa Beyer about the pro-life efforts happening in Bemidji, MN in front of the local Planned Parenthood. Brad and Jeanine then visited with Liz Hoefferle and Dan Johnson in the Diocese of Duluth about a great opportunity to learn about the basics of our Catholic faith, through an Adult Faith Formation program beginning in November. 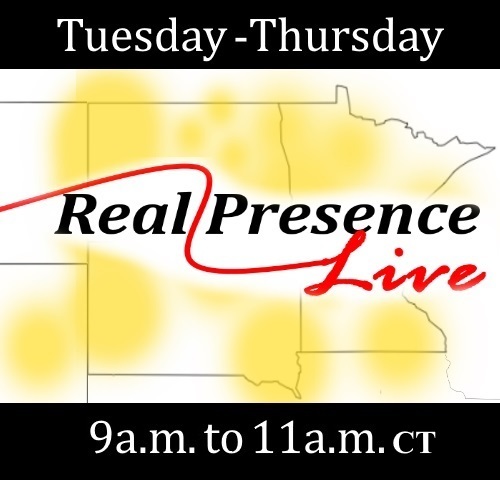 Finally, our hosts joined Janece Rieman to talk about ways we can begin to work through the pain of losing a loved one and an opportunity for those in the Diocese of Rapid City to further promote healing.